When I joined the Navy, I started with two years of intense training where I learned how to operate a naval nuclear power plant. It was during that process that I volunteered for submarine duty, leading to several years of long hours, tight spaces, and not much sunlight. I spent my first tour in the pre-commissioning unit for the USS Minnesota, where we assembled the first crew, helped build the submarine, and eventually participated in the initial sea trials. 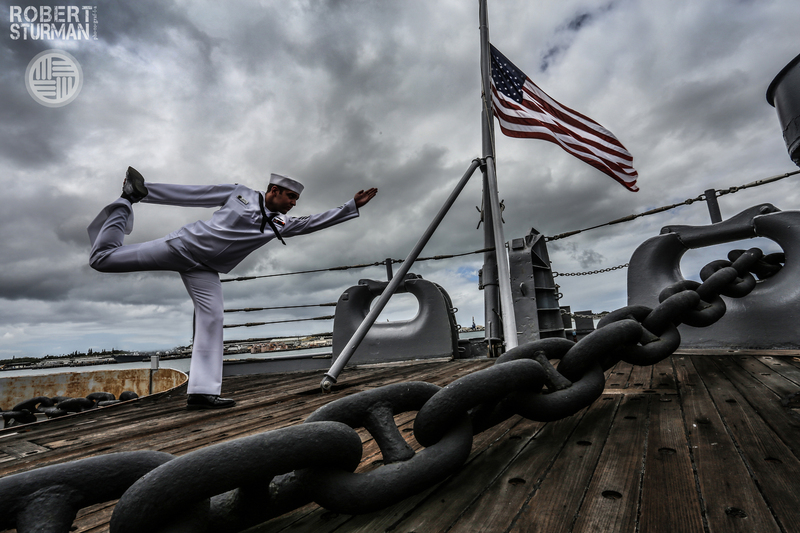 From there, I transferred to shore duty in beautiful Pearl Harbor where I first encountered yoga. I approached that first yoga class the way most men do: reluctantly. I remember thinking, “I’ve heard this is good for me, I guess I’ll try it.” The class was set up by a Team Red, White, and Blue (Team RWB) instructor who was trained by Warriors at Ease, and it was geared towards military and veterans, which made it a much more comfortable environment for me. Yoga is the perfect balance of challenging and relaxing, and after just a few months of regular practice, I started to see benefits in my daily life. My increased flexibility and better balance improved my running, hiking, and overall recovery time. The biggest change was a mental one; I never realized how much negativity I was still carrying from my days on the sub until it started to fade. 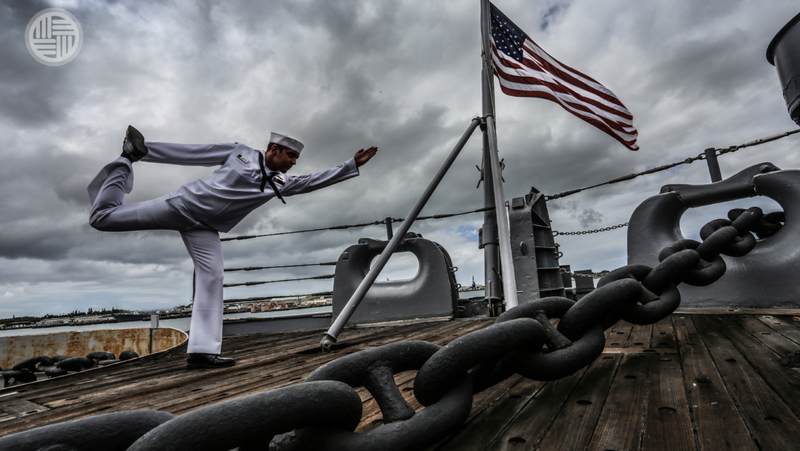 Submariners don’t experience combat the way other service members do, but the stress is there in other ways. Regular yoga helped me to become more introspective, and through that, I was able to become a calmer, more positive person. I’m coming up on nine years in the Navy, and I plan to get out when my contract is up. 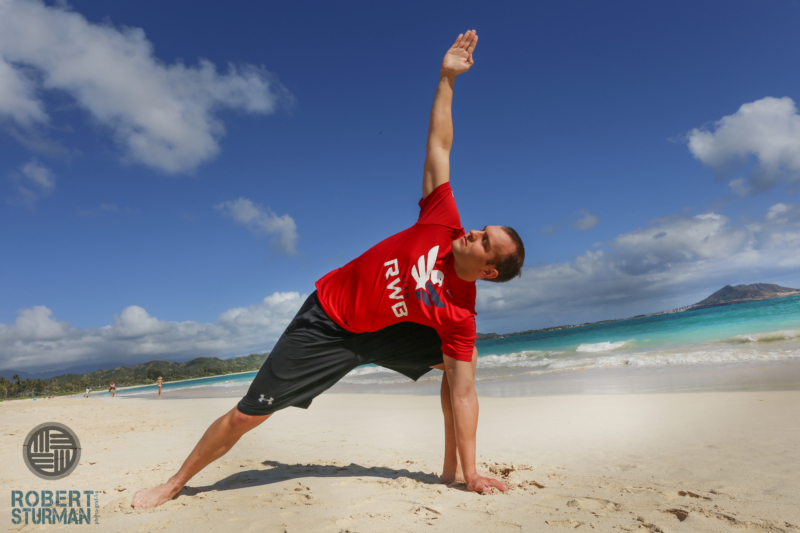 Even as I leave the military, I intend to stay active in the veteran community and help bring yoga to more veterans. 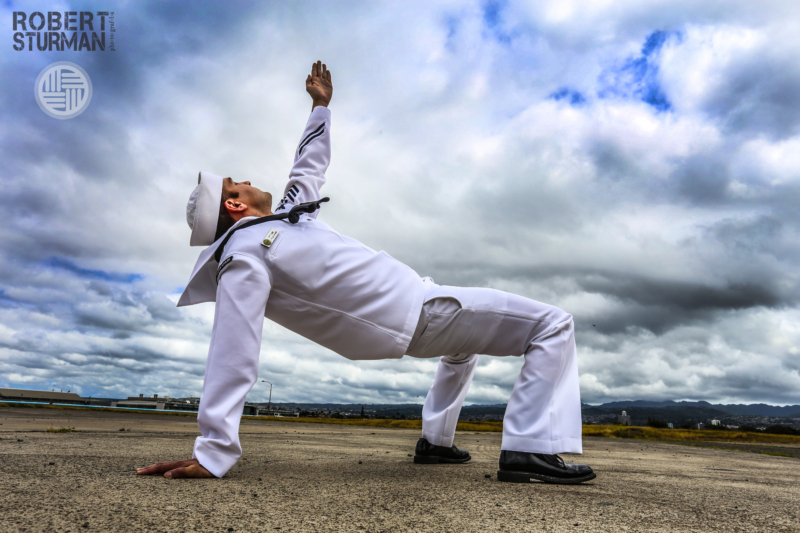 We can all benefit from regular yoga, and the military and veteran ‘tribe’ that Warriors at Ease facilitates makes their classes an ideal, comfortable place to start.